Melissa Romero joined the Fairmount Park Conservancy in February 2018. 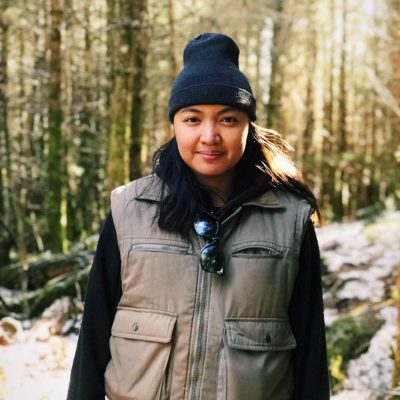 In her role as communications and engagement assistant, Melissa provides communications, marketing, content, and community engagement support to the Conservancy. She is thrilled to tell the stories of Philly’s parks, public spaces, and the people who they serve. Melissa brings to the Conservancy seven years of experience in online journalism and communications. Most recently, Melissa served as editor of Curbed Philly, where she wrote about all of the things that make living in Philly great: its people, neighborhoods, history, architecture, and its parks. Melissa grew up in Wilmington, Delaware and received a BA in newspaper and online journalism from Syracuse University, where she was a track athlete. She loves spending time with family and friends, hiking, and cooking. Though she loves exploring all of Philly’s parks, Clark Park will always have a special place in her heart.